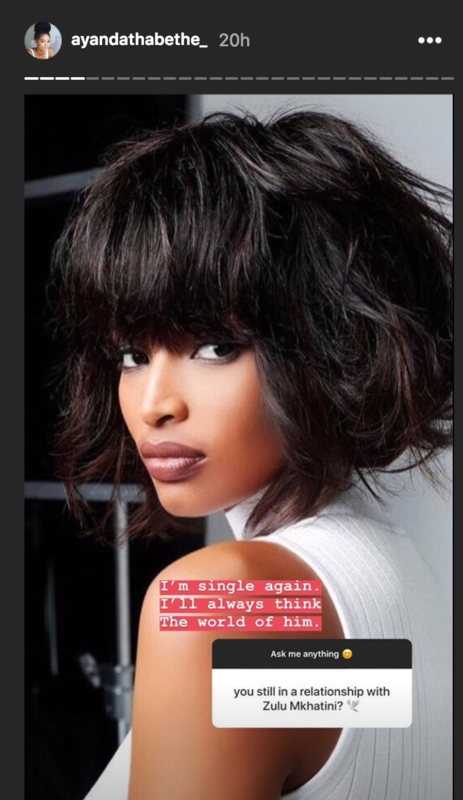 Following speculation and rumours surrounding their break-up, Ayanda Thabethe has come out to confirm that she and Zulu Mkhathini (formerly Dash) have called it quits. The two have been the “it” couple for the past two-and-a-half years in showbiz, as both are regulars on our small screens. The couple even had their followers gushing over their 'baecation' trips overseas. The couple took a trip to Mozambique in 2017 for their first anniversary and jetted off to Greece in August this year. 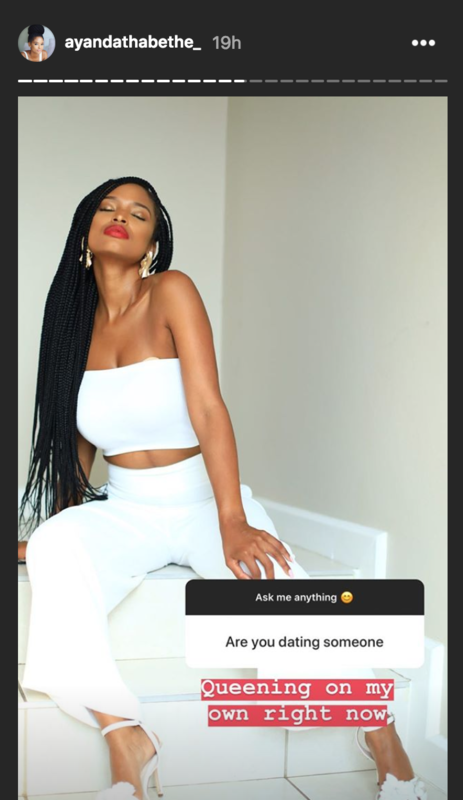 The TV host, supermodel and brand ambassador took to her Instagram account on Monday and requested her followers to ask her anything related to her life. 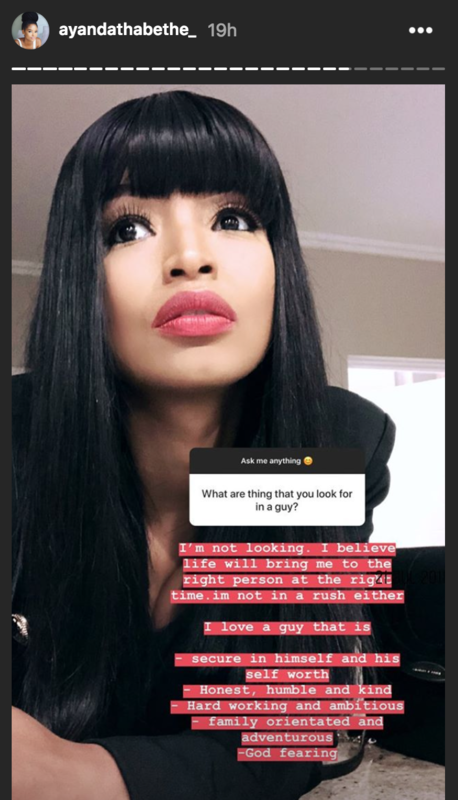 She then posted her responses on her Instagram stories. This is most unfortunate, as these two have been one of Mzansi’s favourite celeb couples. Question is, has their flame really died out?